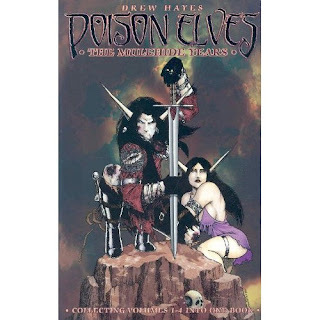 A new player character race for D&D 3.5, modeled after the Poison Elves of Drew Hayes' comic book series. Gnod Yriah and his army of 1000 orcs had captured a village on the river Brallen, 70 miles downriver from Marchion. They used it as a staging point for raids on neighboring thorps and hamlets, as well as blockading the river and capturing any merchant caravans or ships that came past. Yriah, being a barbarian, is illiterate (as are most of his army). However, the adepts (orc shaman) are not. I created this map using Campaign Cartographer: City Designer 3 CD-ROM and exported it to PDF. The rules for affiliations can be found in chapter 7 of the Player's Handbook II. The PC game has been re-released on the occasion of its 10th anniversary. However, you'll probably need to install the fixpackto run it successfully on XP or Vista. Planescape: Torment has been released on GOG.com It is their second most-requested game title. D&D em português do BrasilNo próximo sábado, eu vou jogar Masmorras e Dragões com meus amigos. Nós rolamos os dados e contamos histórias. Eles descem para o subsolo, mas não dragões já. Depois, nós fizemos um churrasco de canguru e bebemos cervejas. Mas talvez demais ... está tudo bem, porque eu não dirijo. Eu viajo de trem para a Costa Dourada. Where in the world is Gutboy Barrelhouse? 15.4kg (34lbs) on the bathroom scales - too much for carry-on baggage, that's for sure. Enough to stress the rear suspension of my mate's ute, not to mention the risk of a dislocated shoulder or slipped disc! Mongoose Publishing introduced the OMCS in Seas of Blood (2001), then expanded upon it in Quintessential Fighter (2002). Of all the mass combat systems I've come across for D20, this one is the easiest to convert a creature stat block into its corresponding mass combat statistics. Unit Hit Points (UHP) are equal to the total number of hit dice for all members of a unit, adjusted by Constitution modifier (and possibly by Toughness feat). Cavalry units receive a 50% bonus to account for their mounts. Particularly large or small units receive a modifier to damage from their ranged attacks. And then you're basically done. You roll a single to-hit roll for the entire unit, which is just the ordinary to-hit modifier for a single member of the unit, adjusted by the relative size of the unit and its target (eg. if a unit attacks another unit half its size, it receives +1 to hit and a x2 damage multiplier. Conversely, it's opponent is at -1 to hit).